We recognize you have a choice in San Diego for your LASIK surgery. We are committed to delivering the best possible care for you. Here are some of the many reasons to choose us for your LASIK surgery in San Diego. 3. We are not a factory, every surgery is a work of art! 5. Advanced Custom Treatments with Iris Registration, San Diego's own iDesign Custom Treatment with 5X the resolution of previous CustomVue treatments. 7. Minimal Office Wait times - Your Convenience Not Ours! 15. Dr. Pham is a skilled and perfectionist type of LASIK surgeon. We would treat you like family. This guides us in everything we do. Every time a patient comes in for LASIK surgery we imagine that this person is a loved father, mother, brother, sister, uncle, aunt, or close friend. We let this guide us in how we treat people - with compassion, consideration, and respect. We also use this philosophy to guide which technology we choose for our patients - you would only want the best for your family! We want your visit and experience to be among the best you have ever had. We will never compromise on the LASIK technology we use. We believe you have only two eyes and deserve the best for them. In LASIK, technology is quickly advancing. We strive to be on the cutting edge. It is often tempting for LASIK surgeons to use cheaper technologies to increase their profits. It is more important for us that you do well after your LASIK surgery than our profit margins. 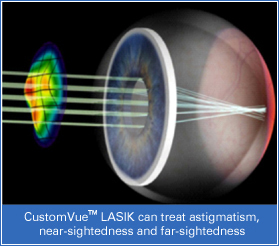 We believe in using Advanced Custom LASIK with the Industry leader VISX Star 4 CustomVue System with Iris Registration. We also believe in the "All Laser LASIK" method with the Intralase laser for our LASIK patients in San Diego. We have also upgraded to a revolutionary new Custom LASIK tecnology, iDesign. Learn more here. Dr. Pham is a well experienced and skilled San Diego LASIK surgeon that believes that every surgery is a work of art. We treat every patient and every surgery as the only surgery of the day because it is the only surgery that you will go through as a patient. Many LASIK centers may have a factory mentality seeking to do as much as fast as possible. Ours is the opposite, we will never rush you or take any shortcuts during your LASIK surgery. Just because McDonald's serves the most hamburgers, it does not serve the best hamburgers! 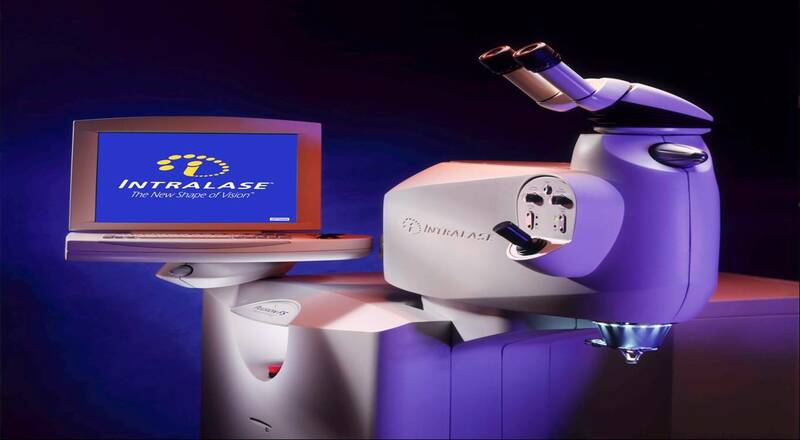 The development of the Intralase laser was a major surgical milestone in Laser vision correction. Instead of using a microkeratome (razor) for the creation of a flap, we are now able to use a laser to make the flap. This gives the LASIK surgeon incredible flexibility and accuracy in the creation of the flap. It also allows a thinner LASIK flap to be made and saves you more corneal tissue. This results in safer LASIK surgery, faster healing, and better results. Your eye is unique. In order to eliminate your eyes irregularities and aberrations, custom LASIK surgery makes an individual wavefront map of your eye. Think of this custom LASIK wavefront map as a "fingerprint" of your eye. The laser then treats all of the unique irregularities of your eye. Advanced custom LASIK also accounts for your eyes potential rotation during surgery. It registers your iris to compensate for any rotation during surgery. 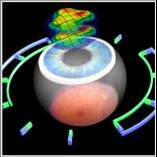 Advanced custom LASIK with iris registration is offered at the San Diego LASIK Institute. LASIK should not be for just the rich and famous. It should be made for everyone. Through are financing programs, we have made LASIK affordable to over 94% of our patients. We offer different 0% financing, 0% down, and 0% plans to accommodate everyone. We also continually strive to have the lowest prices and best value for our technology. We will do everything in our power to make your visit as pleasant as possible. Nobody wants to spend all day in a doctor's office. We often have no office wait times due to our goal. However, if you ever have to wait more than 10 minutes we will make it up to you! 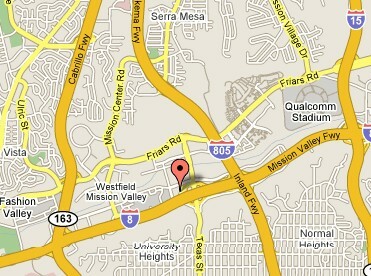 We are conveniently located in the heart of mission valley and we are near all of the major freeways. We are located near the 8, 163, 805, 15, and 5 freeways. Whether you are coming from the East, West, South, or North we should be a short drive for you. We also offer convenient and flexible office hours to help you avoid traffic times. Vision correction includes more options than LASIK. Although LASIK is a great treatment for the majority, some people may require different treatment options. Our advantage is that we can offer every type of technology and are not locked into just one. This increased flexibility allows us to make better decisions regarding your vision correction. If you go to a place that only offers LASIK, LASIK is the only thing that may be offered to you when there may be other technologies that help you better. LASIK, All laser LASIK, PRK, the implantable contact lens, and multifocal lenses are just some of the technologies Dr. Pham has expertise in. We take no shortcuts. Dr. Pham does all of your examination and personally reviews your information. He performs your refractions on up to three separate occasions prior to your surgery. We are not a factory and Dr. Pham believes that by doing the examination himself and not delegating it to other professionals, he is able to offer you great results. We do not do the bait and switch type of marketing. Some LASIK practices may offer "$299" LASIK. After you come and spend nearly 2 hours with them and go through an extensive dilated examination you may find many hidden fees that quickly increase the cost of the procedure. We are hoping to perform a life changing LASIK surgery for you and not sell you a used car. We are honest, upfront, and we never pressure you. Our job is to educate you so that you can make an informed decision about LASIK surgery. We do shop the competition and believe we have the lowest prices and best value for our technology. Some surgeons who perform LASIK in San Diego do not live in San Diego. They may travel or fly to San Diego to do their surgery only. 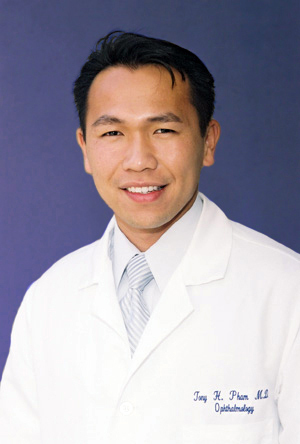 Dr. Pham lives in central San Diego and Dr. Pham is available 24 hours/7 days a week for you. He will never mind taking your calls or coming in after hours for you. He would rather you call him to let him know you are doing. He is flexible and will often arrange a surgery schedule convenient for you. We want your LASIK surgery in San Diego, CA to be like an all inclusive resort vacation. Everything related to your LASIK surgery should be included in your initial fee. Your initial treatment fees contain all the costs for your treatment related to your LASIK for 1 year. This includes any enhancements you may need or punctal plugs. Some patients may get dry eyes after LASIK surgery. This tends to heal for most people by the third to six months. However, you may need punctal plugs which are devices that help maintain the moisture around your eyes during this period. Some practices can charge upwards of $250 for each punctal plug and up to $1000 for all 4 punctal plugs. We do not charge for punctal plugs after LASIK surgery and insert them for free. There are no hidden fees for punctal plugs or dry eye treatments. You will never be rushed during your examination or surgery. We realize that it can be scary for you to think about eye surgery or LASIK eye surgery. We take every effort to make the process as smooth and painless as possible. In fact, the number one complaint Dr. Pham's LASIK patients have had is that they had wish they have had LASIK surgery in San Diego sooner! Dr. Pham is the type of LASIK surgeon that believes in checking three times and only performing surgery once. He will often double and triple check tests and measurements. He wants your outcome to be as perfect as possible and for you to achieve your personal best vision. His life goal is to improve quality of life by improving vision.